One of Craig Miranda’s favorite moments from this past academic year was creating the Penn State Behrend Performance Band, which performed a series of concerts on campus by the spring semester’s end. When Craig Miranda arrived at Penn State Erie, The Behrend College, he had one goal. “Even though I’m just a freshman, I want to start big. I want to make an impact,” the first-year computer science major said at the beginning of the academic year. Miranda did more than start big. He finished big. Through the course of the academic year, he excelled in the classroom, joined numerous campus organizations, started his own club, joined the tennis team and even presented a project at the Clinton Global Initiative University’s 2015 meeting, held this past March in Miami. It’s not how Miranda expected his first year to go when he set foot on campus last August. “I came here thinking that I would be more secluded. I thought I would just focus on getting my work done to get through, but it turned out to be the opposite,” he says. Miranda credits the friends he made at Behrend with helping him get involved. Being so far away from home can be challenge, but he’s begun to build a strong support system at the college through the friends he has made. Together with his friends, Miranda created the Penn State Behrend Performance Band student organization as an outlet for anyone who enjoys singing or performing live music. By the end of the semester, the band had 12 members and had performed six concerts. An emphasis on musical diversity is a reason why Miranda, currently president of the club, has already begun the process of having the Penn State Behrend Performance Band brought under the college’s Multi-Cultural Council (MCC) banner. 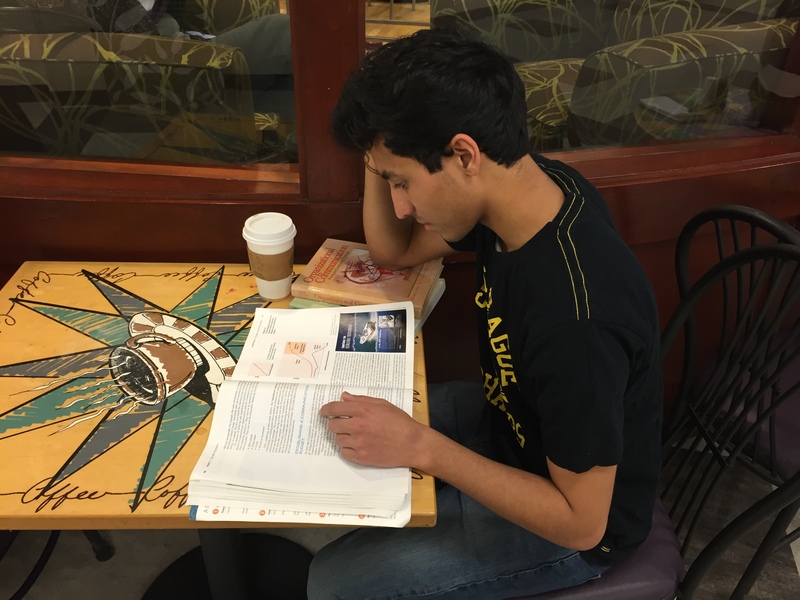 As the group grows, he envisions it being used even more to promote diversity on campus. “Make something big,” “A in all classes,” “Freshman of the year.” Every day, Moustafa Elhadary reads these words a multitude of times. 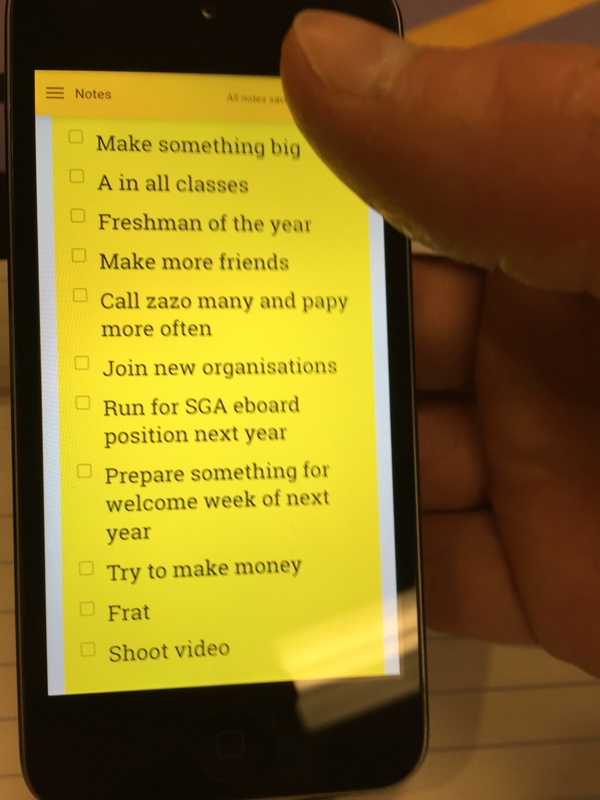 Moustafa Elhadary has programmed a list of goals for the spring semester in his iPod that he will refer to as the year goes on. Elhadary, a first-year computer engineering major at Penn State Behrend, has programmed a list of goals into his iPod. Placed on a radiant yellow background, the list was created by Elhadary as he sat inside a plane on his way back from his home country of Dubai for the start of the spring semester in January. He reached many of his goals during the fall semester. He compiled a 3.88 GPA and served as a senator for the Student Government Association, chairman of the International Student Organization and promotional coordinator for the Muslim Student Association. However, he says he hopes this is only the beginning for him. That’s where his list comes into play. This is one of the main reasons Elhadary has set out to make the most of his time at Penn State Behrend. While he has been active in many clubs, he has been mindful of his academics. Last semester, he had an epiphany. At the moment, Elhadary is taking 22 credits and considering second major options. Industrial engineering or software engineering are possibilities, but he also might consider a business major. With so many credits this semester combined with his extracurricular activities, time has proven to be a limited resource for Elhadary. At times, he’s even struggled to find time to connect with his family. 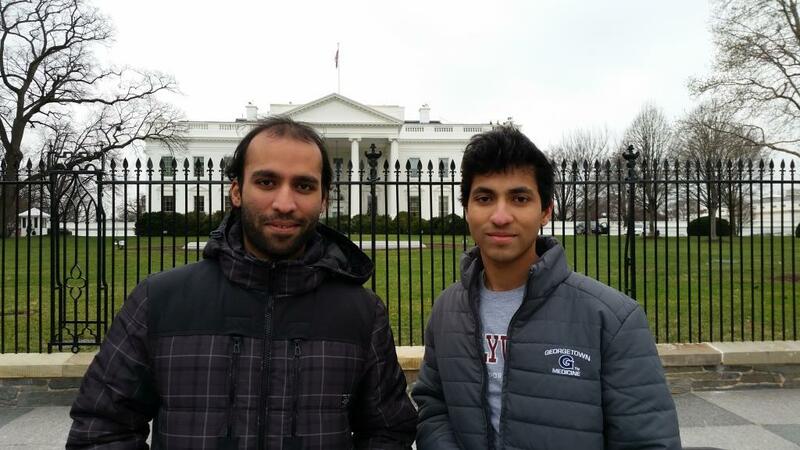 Moustafa Elhadary, left, has made a list of goals for the spring semester, one of which is to make more friends. He’s already made a number of friends at the college though, including fellow international students Hansel Lobo, center, and Tyagadipta Biswal. The trio made a trip to Pittsburgh during the fall semester. Six cities. Five connecting flights. Thirty-five hours of travel. That’s what’s ahead for Moustafa Elhadary on Sunday. He couldn’t be more excited. The first-year mechanical engineering major will leave on Dec. 21 to return to Dubai after completing his first semester at Penn State Behrend. It’s his first time traveling alone, and he knows he may be in for some long, uncomfortable and boring plane rides. But his thoughts are on being reunited with his family and friends, and that’s all that matters right now. That’s not to suggest that he has not enjoyed his first semester at Penn State Behrend. It’s actually the contrary as Elhadary has quickly developed into a campus leader at the college. He serves as a SGA senator, chairperson for the International Student Organization, promotional coordinator for the Muslim Student Association, and he is active in club soccer. Elhadary is excited to return home for other reasons as well. For starters, he’s never had a greater appreciation for the homemade food his mother, Maha, makes than he does now. “I miss my mom’s food so much. The taste, ingredients, spice — all of it is so good,” he says. His father, Mahmoud, recently purchased a new Ford Expedition, and Elhadary longs to take the new wheels for a spin. He also knows he’s not the only one who has been busy these last four months. He’s excited to catch up with his 16-year-old sister, Safinaz, and hear about the new things in her life. “I’m very close with her, and I’m sure she has a ton of things to tell me,” Elhadary says. Elhadary will be in Dubai until he leaves to return to Erie on Jan. 9. He says the three-week break will just what he needs to recharge his batteries before the start of the spring semester. And just as he now misses Dubai, he says he is sure to miss Erie while he’s gone as well. 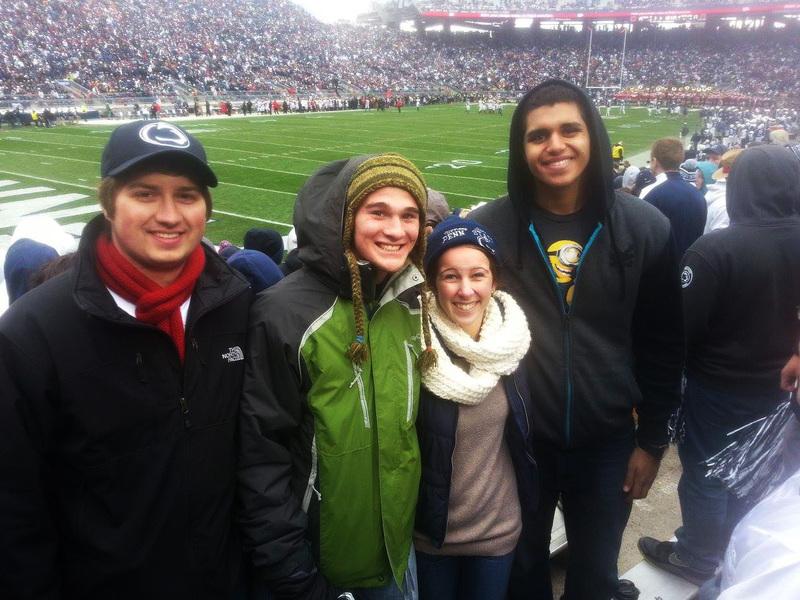 “I have so many friends here (at Penn State Behrend), and I’m still making friends too. It’s just been awesome,” Elhadary says. 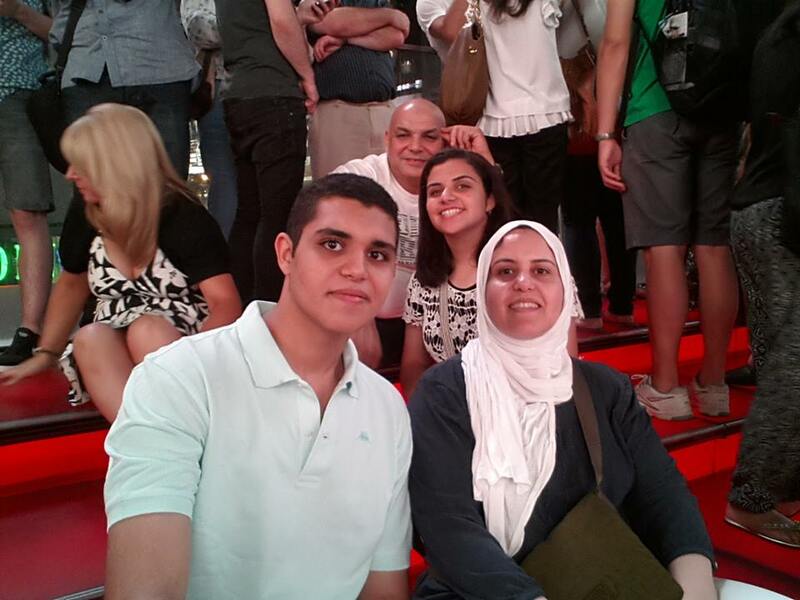 Moustafa Elhadary, a first-year mechanical engineering major, is excited to return home to Dubai this winter break, so he can be reunited with his mother, Maha (right), sister Safinaz (behind) and father Mahmoud (far back). Far from Home is an occasional series in which we document a year in the life of an international student at Penn State Behrend. An unfamiliar setting. New faces. New sights. New scents. It doesn’t scare Yara Elsaied. She’s done this before. Elsaied is in her first year as a student at Penn State Erie, The Behrend College. While Erie, Pennsylvania and Behrend are entirely new for Elsaied, the United States is not. The Cairo native has grown quite fond of the country over the past couple years. Yara Elsaied walks to class on a fall afternoon. In 2013, Elsaied, who had been studying at The American University in Cairo, went to the United States to study at Stony Brook University in Stony Brook, New York, as an exchange student. 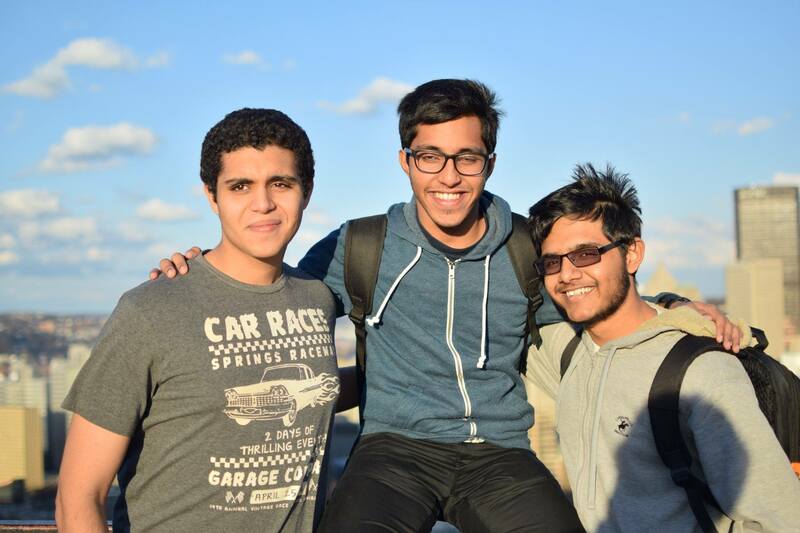 For one-and-a-half years, Elsaied attended Stony Brook and learned about American culture. She saw the sights of New York and forged many great relationships. Still, something was missing. “I always wanted to come here (to Penn State Behrend),” says the senior accounting major, who transferred to Penn State Behrend this fall. Stony Brook did not have an accounting program, which is what made Behrend so attractive to Elsaied, who one day hopes to work at one of the Big Four audit firms. The skyscrapers and busy streets that were constants in Elsaied’s life have been replaced by green fields and colorful leaves. She says that she has enjoyed Erie and Behrend in the time she has spent here so far, but she does get homesick. Food has been another challenge for Elsaied. In New York, she was able to get the ingredients needed to cook Egyptian food, but that’s not been the case in Erie. She said she longs for a nice plate of Dolma Mahshi, her favorite Egyptian dish. 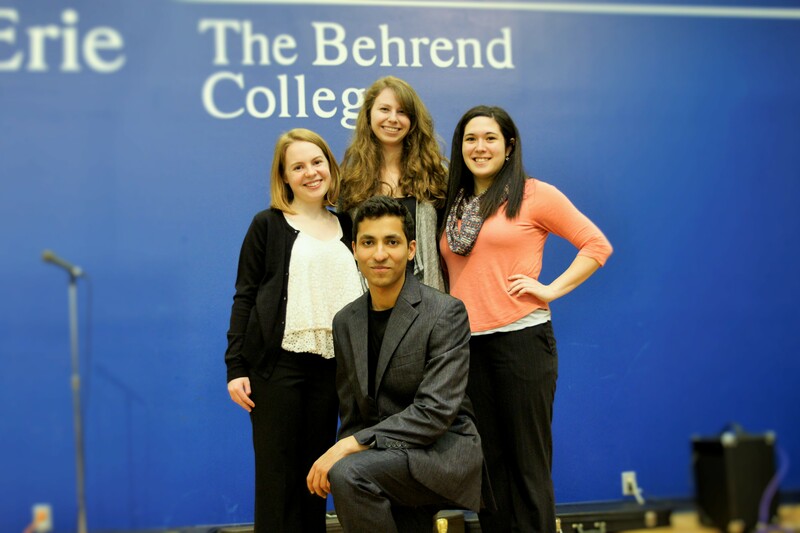 But Behrend does have other advantages that help keep her in touch with her heritage. This fall, the college welcomed 186 new international students, the largest international class ever. “Compared to New York, there are actually a lot more Egyptians here. The community is much larger here,” Elsaied says. 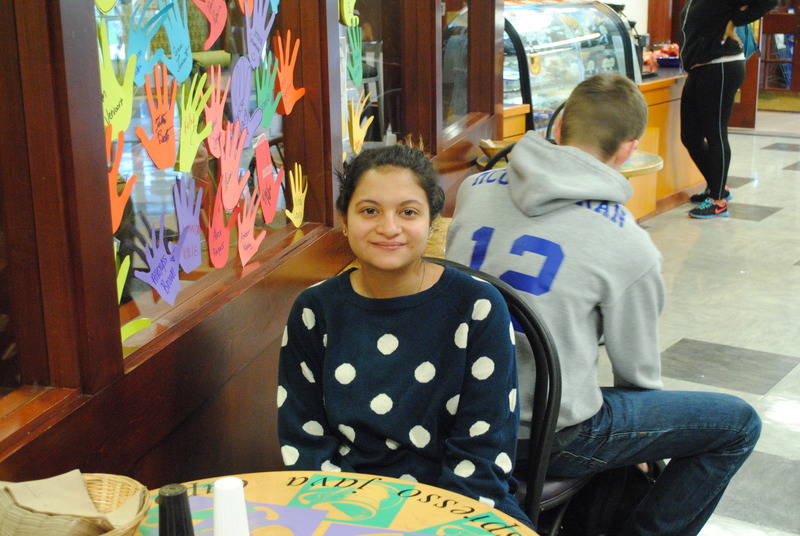 So far, Elsaied says she enjoys the new friends she has made and also enjoys her coursework. While she misses Cairo and New York, she’ll get a taste of both of them over the holiday break. Her sister will be visiting at that time and the two of them have planned quite the excursion with visits to New York, Florida, Las Vegas, and California all on the to-do list. A trip to the west coast during an Erie winter sounds like an ideal getaway for Elsaied, who has quickly caught on to one of her new home’s most notable traits.